For all of the links, Blogs, Podcasts and feeds that I’m constantly shoving down your pipes, the fact remains that I love magazines. Used to_ still do. The sad reality is that there is just not enough great consistent content in individual issues to ignite a purchase from me. I’m still quite loyal to Business 2.0, Wired and, to a lesser degree, Fast Company, but that’s about it. Then, this morning, in preparation for my flight to Nashville for BarCamp Nashville, I stopped into my local magazine shop and walked out with – what I consider to be – an impressive stack. I want you to check out some of this content as well_ it can only help. First up, I grabbed the latest issue of Wired Magazine and Fast Company (it’s always a good day when both magazines have new editions out on the same day). Cover to cover both Fast Company and Wired never disappoints. Then, through some general snooping, I grabbed Newsweek, which had a cover story called, The Facebook Effect. Unfortunately, there were not any additional articles of interest in this issue and I’ve already blasted through the cover story on Facebook – which was quite standard and pedestrian (meaning, no juicy new tidbits of gossip, etc_). Knowing my penchant for the world of Personal Branding and how it is implicated in the Digital Channels, it should come as no surprise why I grabbed this copy. If BusinessWeek is now yacking about the power of a Personal Brand, you know this is a concept whose time has, definitely, come. 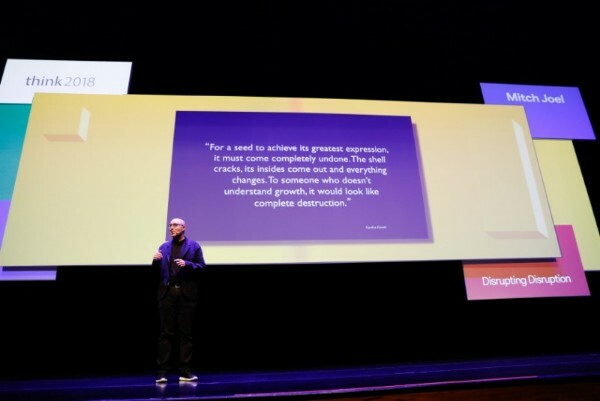 There’s also a sound byte from Seth Godin. I was also intrigued by a news item in BusinessWeek titled, High-Net-Worth Networking. This piece discusses an online social network called, A Small World. I had heard about this exclusive/invite-only online social network for high-profiled people, but it was interesting to get the BusinessWeek perspective on it (look for a future Blog posting on A Small World). The Marketing message is the same: “everything is ‘with’ not ‘instead of’.” I have not stopped reading magazines because of Blogs and I have not stopped watching TV and replaced it with Podcasts. I’m enjoying media in all of its shapes and forms. My inspiration for New Media can be (as is the case here) inspired by the most traditional of channels and how they all mix together. Hint: follow the links on the articles above and you can save yourself a trip to the magazine rack as well as a lot of trees. Next time you need your mag fix and aren’t heading for a plane, head to the high end grocery store with those huge mag racks….I do the shopping AND the reading. Thanks for flagging all those posts. The Economist has an interesting article this week about Second Life’s first bank run, caused by the economic downturn, which actually caused the bank (Ginko Financial) to cease operations. The piece is pretty top-level, but interesting nonetheless. Oops – I forgot to leave a link to the article – http://www.economist.com/finance/displaystory.cfm?story_id=9661900. I’m going to check out that article in The Economist now. Thanks Dave. Peter – we have this amazing retail chain in Montreal called Multimags. It’s a full on retail operation that only sells magazines. It’s awesome… I love it and I’ve never seen another store like this in all of my travels. See, if I had a chain like that near me (especially if they had big comfy chairs, I’d be there once a month, just reading. SciAm and The Economist both rock! It’s always helpful to have a hardcopy, whether it be a magazine or a book. This is especially useful for travel purposes. As I travel more and more, I much prefer to do printouts from the Web than walk around with 72 pages of advertising… a lot lighter and lot better on the environment. I often flag stuff and when I travel, I just print off a batch of articles from my files.